Nintendo ceased Wii U production by January 2017, and the demand for new, unopened hardware has caused resale prices to soar. Finding the console in new condition for under $500 is next to impossible, and the price can be much higher on retail sites like Amazon and eBay. 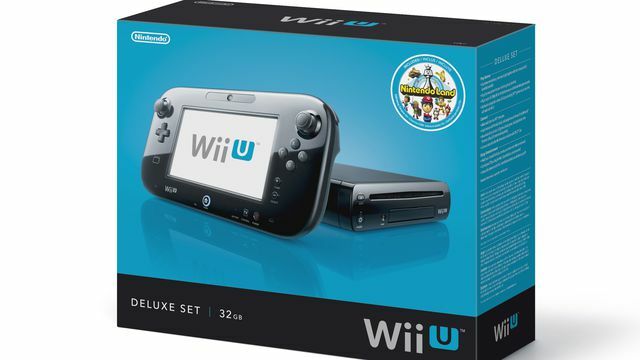 Nintendo launched the Wii U in the U.S. on Nov. 18, 2012, with the white 8 GB models selling for $299.99 and the black 32 GB models that included a copy of Nintendo Land selling for $349.99. Fans bought 13.56 million Wii U consoles in the hardware’s lifespan, making it Nintendo’s least popular gaming platform to date (with the obvious exception of the Virtual Boy, which even Nintendo wants to forget about). You can often see a big difference between the price at which people are willing to sell and the price people are willing to pay, however, especially on the collector’s market. Someone selling a hard-to-find item for a high price doesn’t always mean that the item is worth that much. But looking at new Wii U hardware on eBay that actually sold to a buyer shows that these values are surprisingly realistic. I was able to find plenty of good deals on used Wii U consoles and games, so anyone who wants to buy the hardware as a toy and not a collectible should have an easy time doing so. But the combination of low player interest during the system’s life, high interest in any unopened examples of defunct Nintendo hardware in general, and lack of Wii U consoles flooding retail shelves before the system’s death likely means that prices won’t come down for some time, if ever. There may only be limited interest in unopened Wii U hardware, but those that are looking for exactly that are currently way to pay for the privilege of owning a system no one else has touched. This may be a good time to sell if you have one or two in your basement for some reason; doing so is the first step toward a future in which prices go up and you get mad at yourself for cashing in too early.